We at Arena Cleaning Services have had a fantastic summer and are already accepting bookings for the coming autumn and winter and it has been fantastic to see our regular customers and to welcome the new ones. After such a busy summer Jackie and I will be taking a short holiday from the 8th to 17th October so would welcome your enquiries for all you carpet cleaning requirements for the coming autumn and winter as we now only have very limited availability in September. Early booking for October through to the new year is highly recommended as we do get very busy so to avoid disappointment contact us today and we will offer a genuine 10% discount to all our early bird customers who book before 31/10/17, subject to our minimum charge. Please quote "early autumn 10" to get your free quotation, or to book your appointment. To contact us you can email us at arenaclean@btinternet.com call the office on 01263 833424 or mobile 07876 497897. Arena Cleaning Services "look no further, we clean better"
On a personal note we like to get out and about and often enjoy a brisk walk. 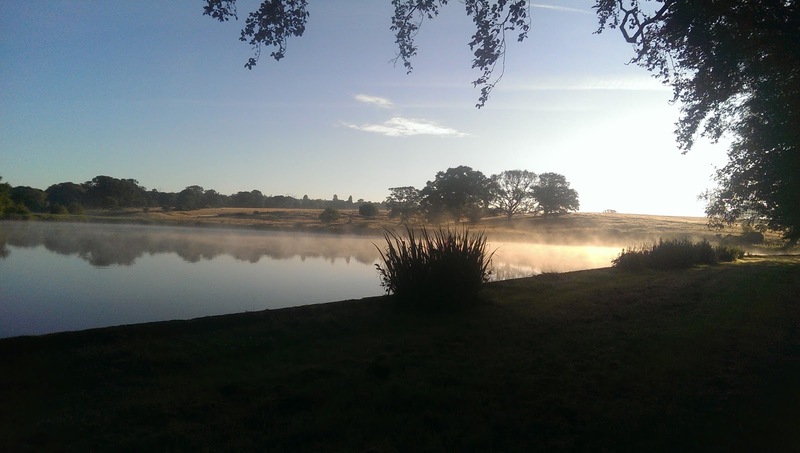 Below is a photo of the lake at Felbrigg Hall Enjoy our spectacular autumn countryside.